When it comes to brand recognition and longevity, few vehicles can compare to the Honda Accord. 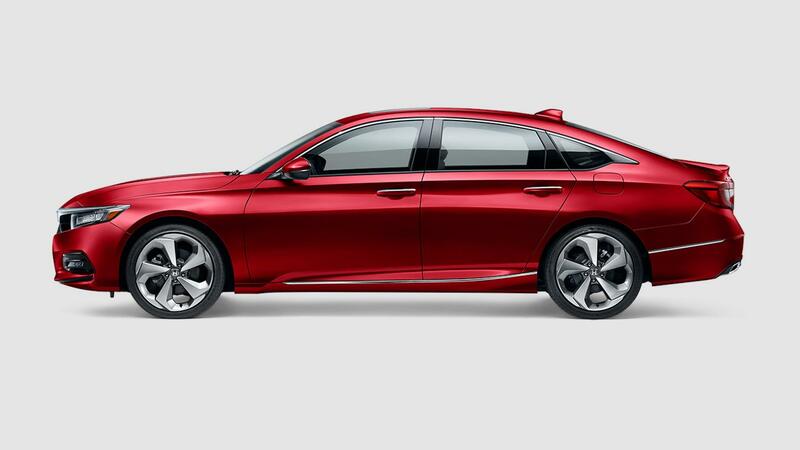 The Accord has been a mainstay of the mid-size sedan market segment for decades, and its back again for the 2018 model year with the 2018 Honda Accord Touring mid-size sedan. 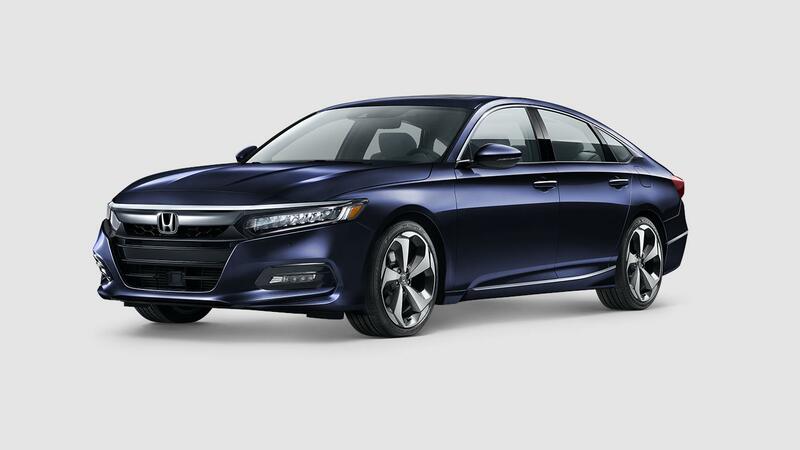 Taking everything that has made the Accord great over the years, and mixing it with the latest innovations in technology, the finest in interior appointments, engineering efficiency, and attractive styling, this new Accord is first-rate. Best of all, the new Accord Touring also has the same powerful safety and security systems Honda is known for, giving you peace of mind on every drive. Rock Honda in Fontana, CA is now carrying the new Accord Touring, in stock and ready for test drives right away. If you’re located anywhere in the San Bernardino County area, including the Inland Empire, Rancho Cucamonga, or San Bernardino, come on down to Rock Honda and let our helpful staff get you behind the wheel of the sedan you’ve been waiting for, like the new 2018 Honda Accord Touring mid-size sedan. Come see us soon! A panoply of great features has gone into the elegant new 2018 Honda Accord Touring mid-size sedan to make it as accessible and accommodating as possible. Interior features such as driver’s seat with 12-way power adjustment incl. four-way power lumbar support & two-position memory & heated/ventilated, dual-zone automatic climate control system, 450-watt premium audio system with 10 speakers incl. subwoofer, and multi-angle rearview camera with dynamic guidelines are examples of the many fine features found in the new Accord Touring. 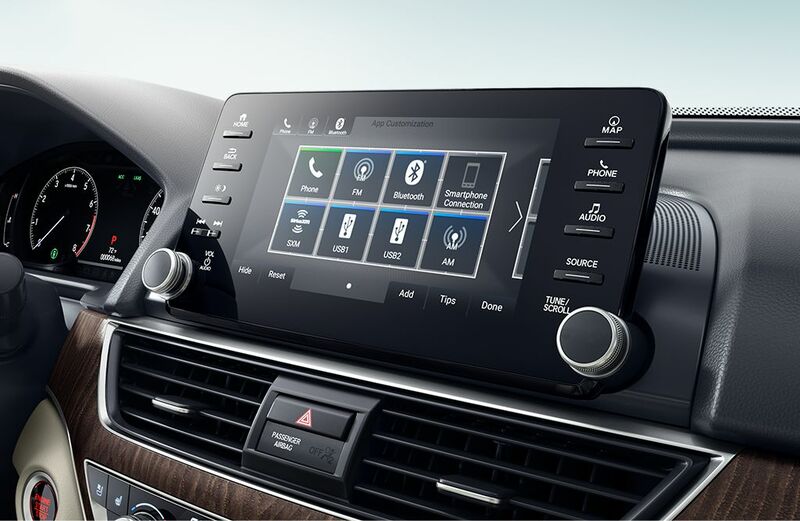 Outside, features such as LED headlights with auto-on / off (low beam), heated body-colored power side mirrors with integrated turn signals, security system with remote entry and trunk release, and Forward Collision Warning (FCW) (Honda Sensing® feature) all work to keep the new 2018 Honda Accord Touring mid-size sedan safe and convenient at all times. Come test drive one at Rock Honda today! Its impressive features are just icing on the cake with the new 2018 Honda Accord Touring mid-size sedan. It also features commanding yet efficient power. The new Accord Touring comes to life with Honda’s 1.5L single-scroll turbo 4-cylinder engine, providing output of 192 horsepower and 192 lb.-ft. of torque! And with its comfortable seating for up to 5 passengers, you can bring everyone along for the fun. Come on down to Rock Honda in Fontana, CA and check out the new 2018 Honda Accord Touring mid-size sedan today. See you soon!